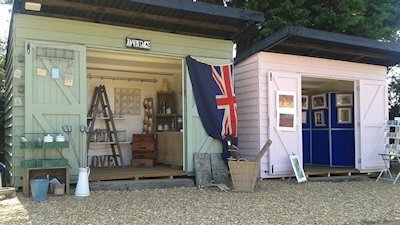 Dalegate Market is very proud to be home to North Norfolk Coast beach huts, which house Pop Up Shops on a weekly basis throughout much of the year. We're looking for independent traders, local artisans and producers (established businesses or testing the market), who would like a trading opportunity for a week at a time. We'll welcome applications for all types of products, including food, drink, clothing, antiques, collectables, toys, art, crafts, home furnishings or anything else you think would sell here on the beautiful North Norfolk Coast. If you are interested in running a Pop Up Shop at Dalegate Market, then please fill out the form below. We'll come back to you with further details and let you know if your application was successful. Please bear in mind that we try to avoid duplication of the permanent shops and other pop up shops, so tell us why your shop will be different. 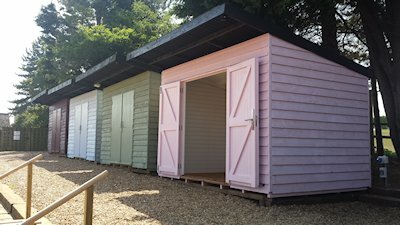 Pop Up Shops are housed in their own beach hut shop units, 3.6m wide by 2.4m deep, 8.64m2 (93 ft2), fitted with slatwalling and electricity. There are double doors at the front that open fully against the front of the shop, giving a large entrance. Please see the photos. Shops can setup on Wednesday afternoons, then trade from Thursday through the weekend until the following Tuesday. Pop Up Shops will cost from £50 per week (ex VAT), rising for the peak times over the season. We are very interested in theming particular weeks, for example Gardening, Art, Food, you get the idea. We'd also be very happy to talk to groups such as artists associations, craft organisations and the like about arranging a whole week around their members. If you'd like to talk further about a themed or group week, then please fill out the form and give us more details. 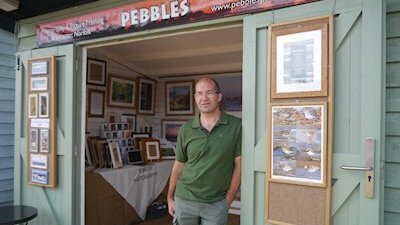 When you are accepted to use a pop up shop for particular dates, you may access the beach hut from 2pm the previous day to your booking period until 6pm on the last day. Please note that to book a pop up shop for the Deepdale Christmas Market, you need to apply separately. If you are interested in a stall for the Deepdale Spring Market, then that is also a separate application form. 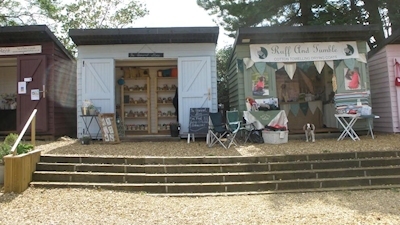 Come and join us with your Pop Up Shop at our busy inspiring shopping site on the beautiful North Norfolk Coast. If you haven't already applied, then the only way to apply is by filling out the application form below. Please note, if you have already applied in 2018 and want to add further dates, please don't fill out a new application, simply email enquiries@dalegatemarket.co.uk to tell us the dates you'd like to add. This is the description that will appear on the website if your website is successful. Minimum 100 characters, maximum 200 characters. This is our key deciding factor for shops, so give us as much information as you can. Please leave http:// if you don't have a website. Business Page not your personal page. Please leave https://www.facebook.com/ if you don't have a website. Please leave @ if you don't have a website. Business Page not your personal page. Please leave https://plus.google.com/ if you don't have a website.